This is a difficult protocol to take on as it eschews grains and nuts in particular and eliminates sugar. Again the struggle is to learn how. Vegetables along with meats and fermented milk products should work. That still leaves us the problem of substituting for nuts and breads somehow as we still need their convenience. I have generally found that to be the largest difficulty. We depend on hand breads. Otherwise plenty of excellent data here to use and apply. We have all been told that cavities are caused by eating sugary, sticky candy and the lack of good hygienic care. Once there is tooth decay, the only way to return to a heathy mouth is to drill out the decay and fill the hole with a synthetic compound or even remove the tooth. According to a published study by the British Medical Journal, tooth decay can be healed with diet. 62 children were split into three groups for a study on nutrition and cavities. Group 1 ate a traditional diet with the addition of oatmeal rich phytic acid. Group 2 ate a traditional diet with the addition of a Vitamin D supplement. Group 3 ate a grain-free diet with the addition of a Vitamin D supplement as well. The study found that the children in group 1 actually had an increase in cavities. Group 2 had improvement in current tooth decay and less formation of new decay. Group 3 had the greatest dental improvement and nearly all cavities were healed. Weston Price lived in the 1900’s and was a pioneer of the American Dental Association. He traveled the world to find the cause of tooth decay. Price found a common link between modern foods and cavities. The isolated indigenous tribes Price visited had perfect teeth with little tooth decay. But once they began eating a western diet, they began to experience bone loss, chronic illnesses and tooth decay. 1. Ingesting too much processed sugar. 2. Too much phytic acid rich foods in our diet. 3. Lack of calcium, magnesium and phosphorus in our diet. 4. Our diets lack fat soluble Vitamins A, D, E and K. Especially Vitamin D.
Oral bacteria feeds on sugar and prevents the natural flow of dental fluids. Sugar is highly acidic and can demineralize the structural makeup of our teeth leading to tooth decay along with its decalcification. Raw honey in moderation and Stevia are good alternatives to harmful sugar. 80% of phosphorus is completely un-absorbable because it is bound to the phytic acid within the grains and beans in our modern diet. These molecules bind minerals such as calcium, zinc, iron and magnesium that are necessary for oral health. Absorption of zinc is decreased by 20% and the absorption of magnesium is decreased by 60% when foods high in phytic acid are consumed. Not only does phytic acid block the absorption of the minerals, it also steals the minerals from our bones (leading to osteoporosis) and our teeth. •Raw dairy is loaded with calcium, phosphorus, magnesium, Vitamin K2, Vitamin D3 and fat soluble Vitamins. Grass fed butters and cheese as well as kefir goats milk, are great nutritional options. •Eggs, meat, bone broth and fish should be included in our diet. •Eat one piece of fruit early in the morning, daily. •Enjoy the sunshine when you can and supplement when necessary with 5,000IU of Vitamin D3 daily. •Avocado, coconut oil, fish, olives and fermented cod liver oil are all great sources of healthy fat. •Only eat sprouted seeds, nuts and beans. •NO processed, packaged or fast food. Want to give oil pulling a try? Oil pulling is a great oral detox that has been practiced for centuries by Ayurvedic medicine. Simply swish 1 tablespoon of an oil (coconut oil is my personal favorite with 1 drop of GRAS certified Clove essential oil) in your mouth for 20 minutes. 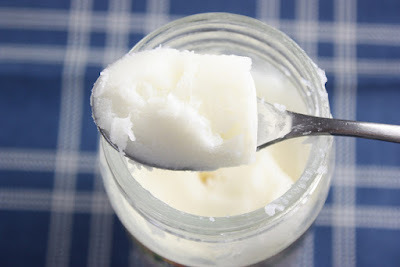 Oil pulling has been shown to heal gingivitis, headaches and even diabetes. •First thing in the morning is the best time to oil pull. •Try to oil pull for 20 minutes, maybe while you are in the shower or getting dressed. If you have to work your way up to the 20 minute mark, that is ok.. Just give it a real try. •After 20 minutes is up, dispose of the pulled oil into the garbage can. Do not dispose coconut oil down the drain, it can clog it. Also, do not swallow the pulled oil, it will be full of the toxins you just pulled from your mouth, always dispose in the garbage. Rinse your mouth with warm salt water for its antimicrobial properties. •Don’t be alarmed if the pulled oil is milky white or even yellow. *Optional: 20 drops of GRAS certified essential oil, Protective blend, Cinnamon, Peppermint, Clove, Melaleuca or Spearmint. Combine all ingredients in a small glass mason jar with a spoon. Cover. *The coconut oil may need to be warned slightly to help mix the ingredients well.